Although a number of previous studies had shown that diabetes risk may increase in the first few years after smoking cessation, it wasn’t clear what was driving the increase. In the new study, researchers looked at an average of nearly 19 years of data from 171,150 U.S. men and women enrolled in three cohorts—the Nurses’ Health Study, the Nurses’ Health Study II, and the Health Professionals Follow-Up Study—who filled out questionnaires about their health and lifestyle every two years. 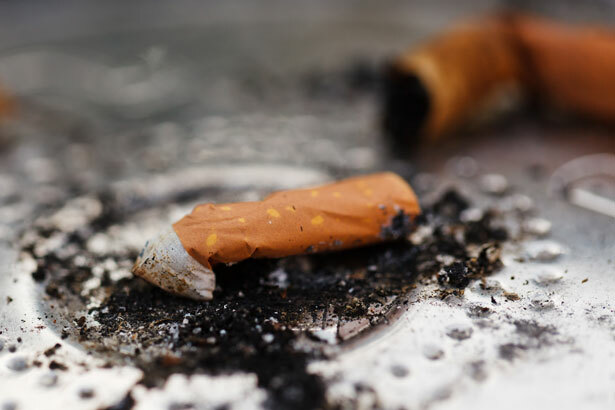 The researchers identified those who quit smoking and looked at associations between their weight gain and their risk of developing type 2 diabetes, as well as the impact of weight gain on the risk of death due to cardiovascular disease and other conditions. Compared with current smokers, recent quitters had, on average, a 22% higher risk of developing type 2 diabetes. Their increased diabetes risk peaked 5-7 years after quitting, then gradually waned. The more weight people gained after quitting smoking, the greater their risk of type 2 diabetes. Among those who didn’t gain weight there was no increased risk. In addition, long-term smoking cessation was linked with a steady reduction in diabetes risk; among quitters who didn’t smoke for 30 years, diabetes risk dropped to that of people who had never smoked.